Missing Teeth? 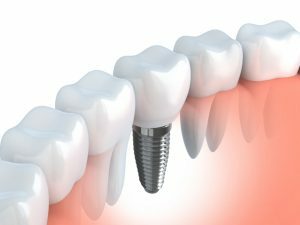 Explore Dental Implants in Farmington. 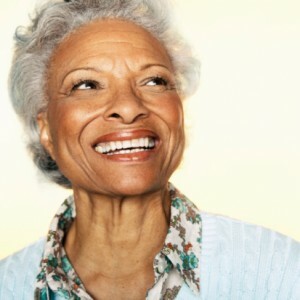 Millions of people in the United States are missing one or more teeth because of dental decay, gum disease and accident. Relatively quickly, jaw bone and gums recede, and adjacent teeth drift toward the empty tooth socket. For fully edentulous individuals, the toll on self-esteem, nutrition and speech is significant. 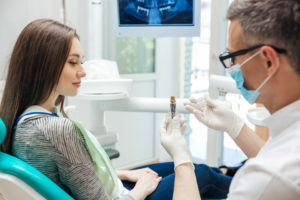 So, Dr. Leslie Metzger of Monet Aesthetic Dentistry, frequently advises placement of dental implants or implant-supported dentures. 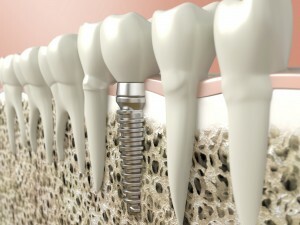 Secured within the jaw bone, dental implants provide aesthetically pleasing and stable tooth replacement. And, they integrate fully with bone for unparalleled longevity. Comments Off on Missing Teeth? Explore Dental Implants in Farmington.